No, I haven't forgotten how to crochet! Here's a little peek of my next project! So glad you haven't forgotten how to crochet! 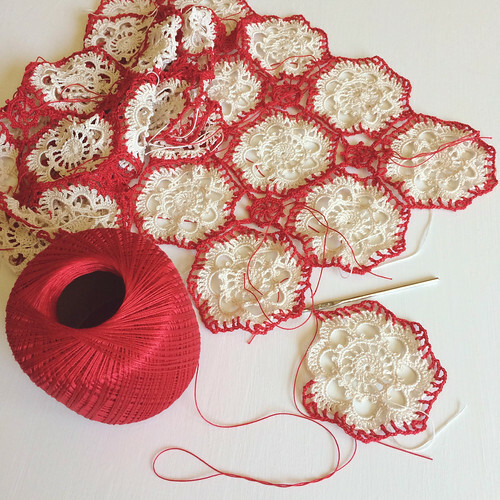 This red and white project reminds me of the Christmas time one I haven't finished joining yet! Oh, Kate, that is just beautiful! I love the contrast between the red and the white. My hooks were on vacation for awhile, too. I'm working on a couple of baby blankets for my soon-to-be-born nephew and my husband's co-worker's wife.